Only Midnight madness is posted so far. Send us a link to all the new events you come across! And here’s a treat for those who have not seen it yet. finally got a bit of non-hectic daylight to take a picture of the carnage. for those who don’t know, i wrecked the miata a couple weeks back, the whole front end is pushed back, including my new mishimoto radiator, ouch. i’m in the process of parting it out. she had a good run, lots of events, lots of dings, bumps, and even a few slams. on the bright side, i’ve been working on the 86 coupe, and it should be back on the road very soon! anyways, i hope you all have a happy festivus! 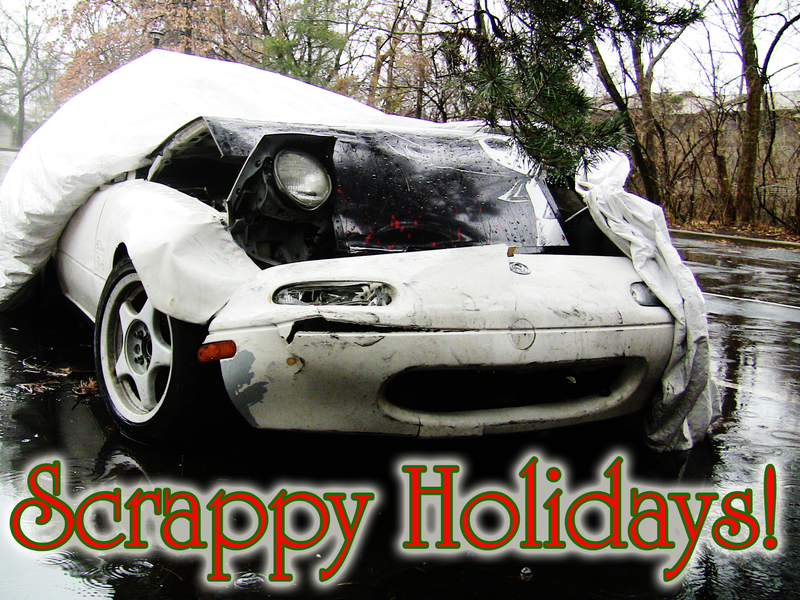 thanks for checking out our blog, and we hope to bring you more drifty stuff next year! alok paleri of lokky designs is at it again, this time with footage of a recent IDS event at the nürburgring. i can hardly imagine how much fun it would be to drift there! !